360°PHOTO OF THE DAY: Mt. Hermon, Israel - the highest UN-monitored station in the world. History: This wall is all that remains of the second temple (destroyed by the Romans in 70 A.D.). Solomon's (much more magnificent) temple was the first one on this site, before it was burned and razed by Nebuchadnezzar in 587 B.C. (thus leading to Israel's period of Babylonian captivity). 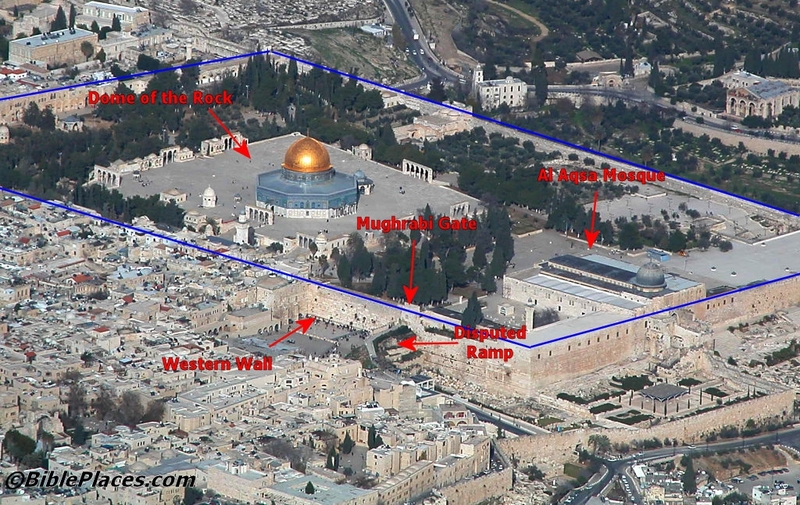 The second temple was much more modest and rebuilt when Persian emperor Cyrus the Great allowed the Jews to return to Israel and rebuild their temple, beginning in 538 B.C. (prophesied by Isaiah, some 150 years before Cyrus came to the throne): https://www.biblegateway.com/passage/?s ... ersion=ESV (and read more here): https://www.christiancourier.com/articl ... l-prophecy, with its dedication in 515 B.C. Later, Herod the Great greatly refurbished the second temple's complex and its wall and facades (finished about 20 B.C). I went to the wailing wall once. I felt like such a moron, standing there with my harpoon. Rick: went to the wailing wall once. I felt like such a moron, standing there with my harpoon. December 17, 2018 Photo of the Day! 360°PHOTO OF THE DAY: Cleopatra's gate, in downtown Tarsus (present-day Turkey) - the city of the Apostle Paul's birth. Very cool - this photo shows the the very gate through which Marc Antony and Cleopatra entered the city (Tarsus is also where they met). During the time of Alexander the Great, (died in 323 B.C. ), Tarsus was considered the most influential city in Asia Minor. While still quite young, Paul's father (a pharisee as well) sent him from Tarsus to Jerusalem, to begin his classical education with Gamaliel (Acts 22:3) - one of the most important rabbis in Jewish history. Thought to have written 14 of the New Testament's 27 books, Paul was one of the most-educated people of his time! East bank of the Dead Sea, Israel - Near the Oasis town of Ein Gedi. Assigned to the tribe of Judah, it's where David fled for refuge from the pursuing King Saul.